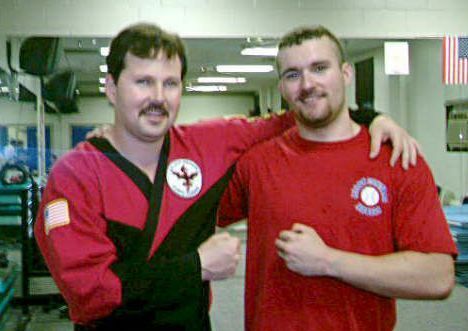 This course is instructed by Master Troy Burchett, 2001 World Karate Champion ( Arnold Classic ). Master Burchett has also won a Gold Medal in the Battle of Columbus for Forms, Weapons & Sparring. 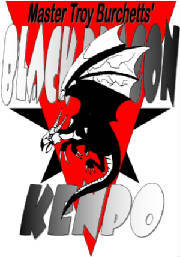 If you are looking for a versatile training program that covers all the bases, Black Dragon Kenpo Karate is for you. and can only see a few feet in front of himself. Black Dragon Traditional DVD's,use to rank to 1st Degree, only $39.95, save $10! Free shipping. Includes Katas. Black Dragon Secrets of Survival, only $39.95, save $10, (all material to 1st Degree Black Belt on two DVD's ). Order the Black Dragon Total Package Here, includes (2) Secrets of Survival DVD's, 2 Traditional DVD's, Master's DVD & Cane DVD, total of 6 DVD's. Just $69.95 right now ! 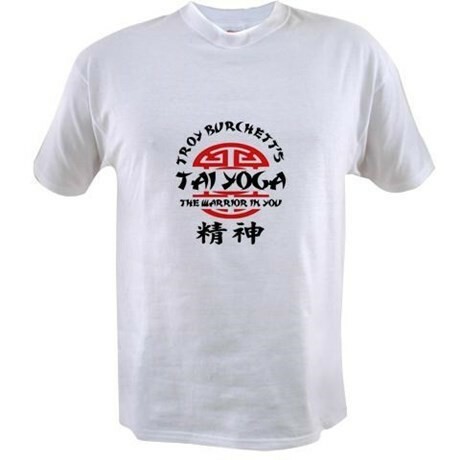 Troy Burchett's " Tai Yoga ", a unique blend of martial arts & yoga. Certification is available for those interested in teaching this system. DVD, just $29.99 ! Or get both DVD's now, just $49.95, free worldwide shipping.